Selangor, Malaysia, Sept 20, 2017 - (ACN Newswire) - Augmenting conventional, pharmaceutical-based treatment of depression with cognitive behavioural therapy reduces depressive symptoms of Malaysians more over a shorter period of time than other treatment methods, according to a study in the journal Social Sciences and Humanities. Cognitive behavioural therapy (CBT) is a form of "talk therapy" designed to give patients the skills to identify and interrupt patterns of negative thinking and reflexive behaviours that may contribute to mental health problems. A team of researchers from Universiti Putra Malaysia, Universiti Kebangsaan Malaysia, and the University of Queensland in Australia analysed the effect of CBT on Malaysians. They found that patients treated with CBT along with medication showed greater improvement in a shorter amount of time than other treatment groups. 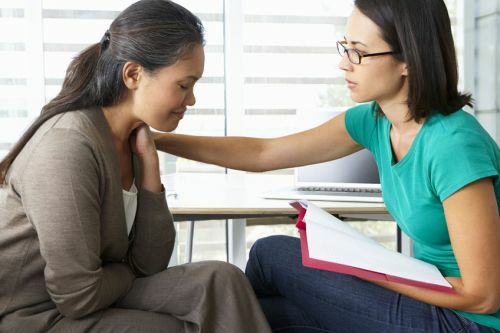 The research suggests that Malaysian health officials should consider providing CBT in a group setting as a supplement to drug-centred therapy. This would help maximize potential benefits in the face of limited mental healthcare budgets. "Our findings have important implications for how depression is treated in Malaysia," said lead researcher Low Jia Liang. "It's possible that using CBT in conjunction with pharmacotherapy could bring about significant improvements more quickly, and thereby maximize the impact of constrained health care resources." As in the rest of the world, depression is a major health concern in Malaysia. The World Health Organization estimates 350 million people suffer from the mood disorder. Within Malaysia, the Institute of Public Health reports that 2.3 million people are at risk for depression within their lifetimes, while other research pegs the incidence of depression in parts of the country as high as 10.3 percent. Numerous international studies have indicated that CBT can provide effective treatment for depression. However, almost all of those studies have been conducted in Western countries. That raises concerns that cultural differences -- for example, the difference between the "individualistic" nature of Western societies versus the "collectivist" outlook in Asia -- may make CBT less effective for Asian patients. To design a robust study for Malaysia, the researchers made sure participants reflected the diverse ethnic composition of the country. Participants were divided into three groups: a third received CBT and treatment with anti-depressants; another third were treated solely with anti-depressants; and the final cohort received "relaxation therapy," where they learned physical and mental relaxation techniques, alongside anti-depressants. Patients in the group treated with CBT along with medication fared better than the other two groups. "What this tells us," said Low Jia Liang, "is that the conventional wisdom about the effectiveness of CBT holds true in the Malaysian context." JSSH aims to develop as a pioneer journal for the social sciences with a focus on emerging issues pertaining to the social and behavioural sciences as well as the humanities. Areas relevant to the scope of the journal include Social Sciences -- Accounting, anthropology, Archaeology and history, Architecture and habitat, Consumer and family economics, Economics, Education, Finance, Geography, Law, Management studies, Media and communication studies, Political sciences and public policy, Population studies, Psychology, Sociology, Technology management, Tourism; Humanities -- Arts and culture, Dance, Historical and civilisation studies, Language and Linguistics, Literature, Music, Philosophy, Religious studies, Sports.